The title of this post is a quote by former New York Times restaurant reviewer Ruth Reichl, and I've gotta tell you Ruth- we agree. 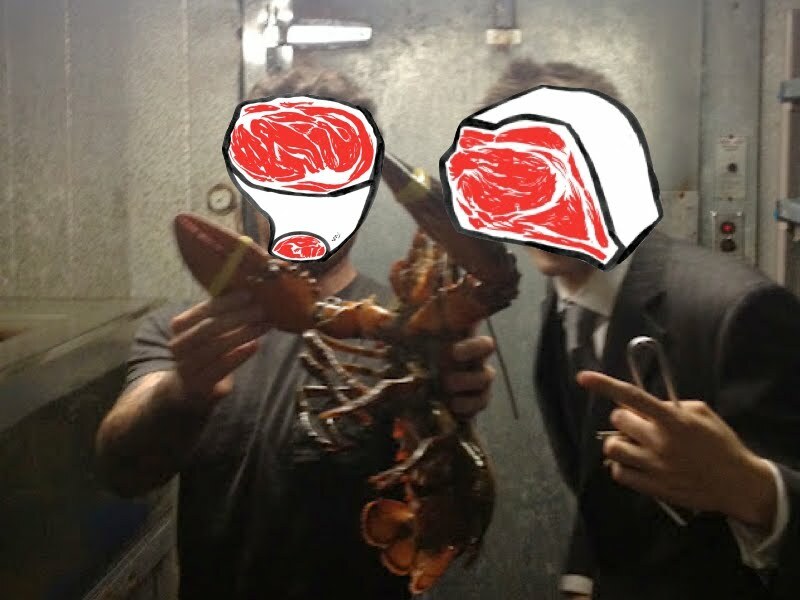 Smith & Wollensky, say it out loud. It just sounds tasty, club-house-y. This 49th Street and 3rd Avenue stronghold is the stuff of legend, a true habitat for the inexhaustibly bonused. Pulling in the tag of #1 grossing restaurant in NYC (#3 in the US of A) is no simple feat. Alan Stillman, best known for creating, of all places, T.G.I. 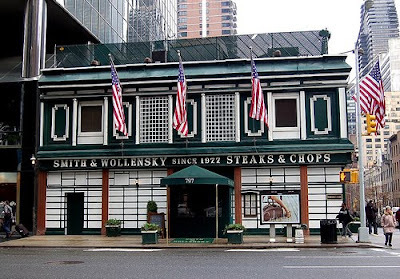 Friday's, opened Smith & Wollensky in 1977. He later expanded his S&W domain outside of NYC, to locations in Philadelphia, Houston, Columbus, Las Vegas, Miami, Chicago, Boston and DC. 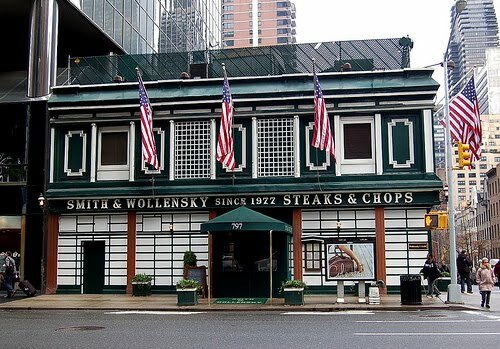 Story goes that there actually is no Smith OR Wollensky. Stillman opened the Manhattan phone book and randomly chose two dudes' names that sounded good together. Alan, we like your identity-repurposing steez. 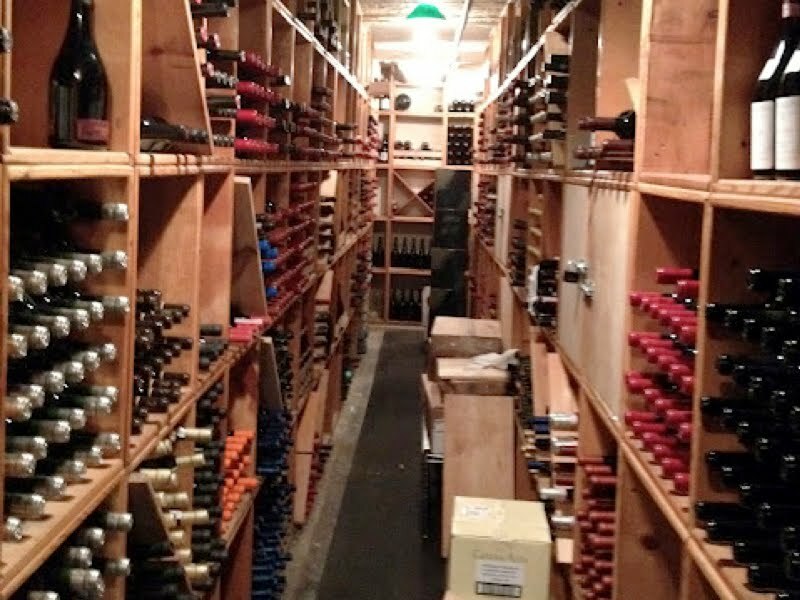 I recently had the pleasure of not only drinking and dining at S&W, but also getting the manager's tour. We went FULLY behind the scenes. A truly meaty experience that will not soon be forgotten. 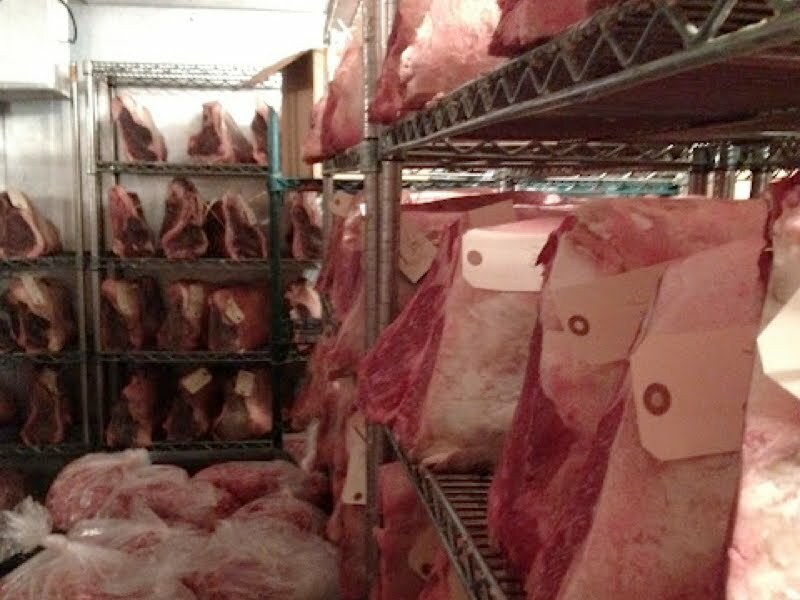 We got to check out the Meat Aging Unit, the Live Lobster Pools, both kitchens and the wine cellar. Here are some photos to whet your appetites. *We will be checking all of your browsing histories before awarding the invite. In this case, Google is for the unintelligible.